The Strange Travels of Señor Tonet was launched this morning at Villa Bighi. 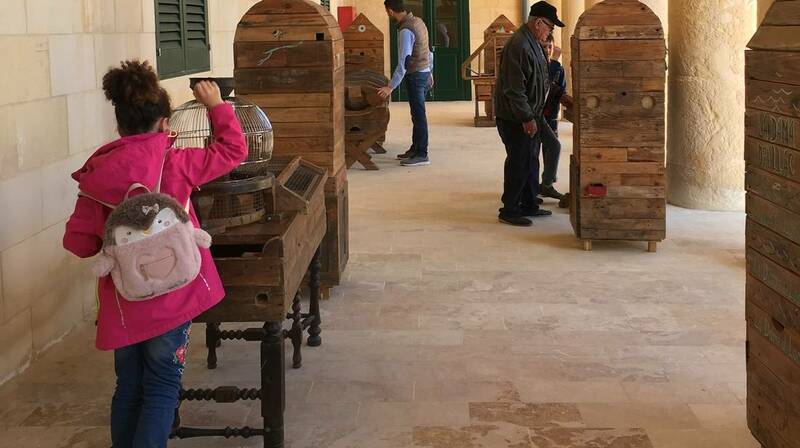 The Strange Travels of Señor Tonet, Valletta 2018’s curiosity fair full of fun for the whole family, opened earlier today, the 28th of March at Esplora Interactive Science Centre, Kalkara. At the fair we meet Señor Tonet, a peculiar character who introduces us to the many creatures he encounters while on his strange and wondrous journeys, by means of individual installations set inside boxes, each of which reflecting a different story. The artists have also created an interactive game designed specifically for Malta, which will remain at Esplora after the fair ends. The game is inspired by two images synonymous with the Maltese culture: the water cab (id-dgħajsa tal-pass) and the ‘Sleeping Lady’. The aim of the artists is to make children happy by giving them the opportunity to interact with these games. Throughout the fair, interactive games will provide a highly creative storytelling experience. Esplora Director, Ms Rachael Blackburn, said that this is a unique experience that is sure to appeal to both the young and the young at heart, ensuring the entertainment of the whole family. The festival spans over two weeks, and will happen in two different sites. Between March 28th and April 1st, it will be held at Esplora Interactive Science Centre in Bighi, Kalkara with access from Villa Bighi. Between April 4th and April 8th, the festival will then move to Triton Square in Valletta. It will be open from 10am to 4pm on all days in both sites, with the exception of April 7th, where the fair is open between 12pm and 6pm.